When Spain take on the USA at the FIFA U-20 Women’s World Cup on 13 August at Dinan-Lehon, keep your eyes peeled for the Oceania connection. OFC trio, referee Anna-Marie Keighley and assistant referees Lata Kaumatula and Maria Salamasina will officiate the match, with OFC Referee Development Officer Neil Poloso appointed as referee assessor for the encounter. OFC Referee Development Officer Kevin Stoltenkamp said it’s a great opportunity to showcase our talented women on the world stage. “We hope this will go on to encourage others to set their goals higher. 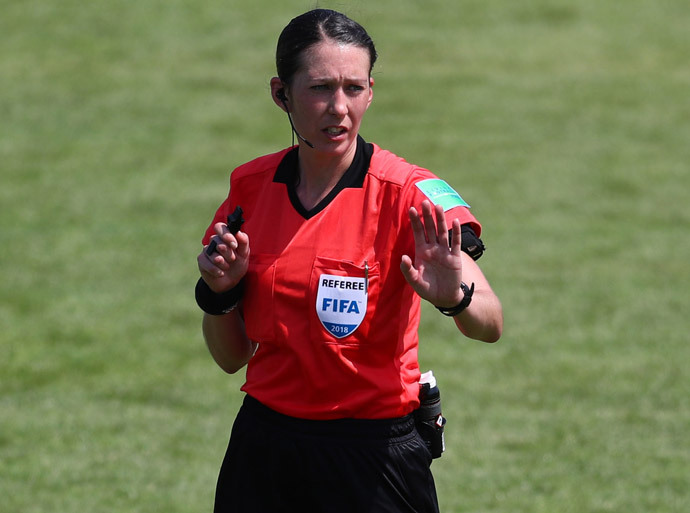 New Zealand’s Keighley and Samoa’s Salamasina have already officiated in France during the Group D match between Nigeria and Germany but this will be the first match of the tournament in which the trio has been appointed. Also at the same stadium is Tonga Football Association Competition Manager Penateti Feke who is competitions coordinator for all matches at this location.